Whether you’re celebrating Kwanzaa, Black History Month or just a random Tuesday, African masks are a festive craft to make any time. These masks, which African tribe members have worn in cultural and religious ceremonies for centuries, are traditionally decorated with bright colors and bold shapes. This art project is ideal for children of all ages, but using plastic milk jugs adds an additional teaching moment. As you create your own personalized and colorful masks, children will learn about the importance and ease of recycling. 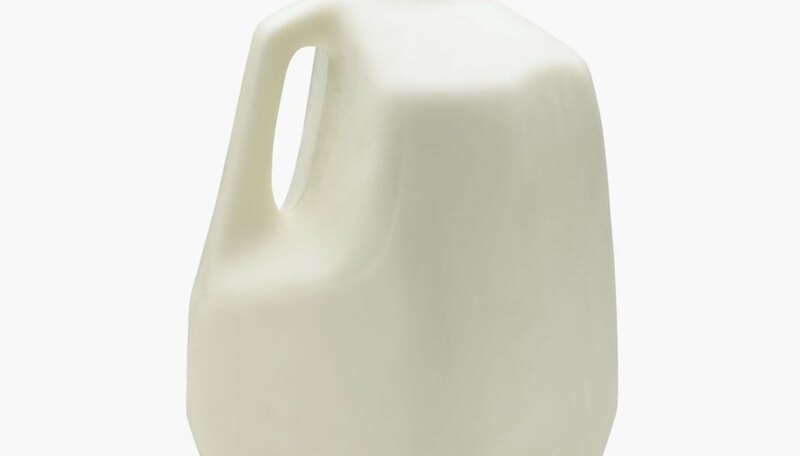 Cut off the top few inches of the milk jug using a sharp knife or scissors. Next, cut vertically down the side of the jug. Continue all the way around the jug until you've cut it into two equal-sized pieces. The jug's handle should be centered in the middle of one jug half. Use the jug half with the handle to make an elephant mask or create a prominent nose on your mask. Use the flat half for any other style of mask. Punch a hole in each side of the mask, using a hole punch. Position the holes over where your temples will be when you hold the mask to your face. Punch them about 1/2 inch from the edge of the plastic. Cut a piece of elastic to be about 10 inches long and tie either end of the elastic to one hole. Tilt your face toward a light and hold the mask up to your face. Wave a dark marker just in front of the mask; you will be able to see the marker as it passes in front of your eyes. Draw marks to denote the spots over your eyes. Use a knife or scissors to cut holes in these spots. Cut out a hole for your mouth. Cover the mask with a layer of paper. Most types of milk jugs won't hold paint well, so paper makes a solid base for decorating. One option is to use the papier-mache technique. Cut construction paper or newspaper into strips, dip the strips into a mixture of glue and water and cover the mask with them. Let the glue dry before adding any further decoration. Decorate your mask with more paper, paints and beads. Add additional layers of papier-mache over the jug's handle to build it up and make it into a nose, or use tempera paints to draw bold shapes like triangles and rectangles around the eye holes. Glue beads in zigzag patterns around the edges of the mask or glue feathers to the edges. However you decorate your mask, let it dry thoroughly before wearing it. Rinse all milk jugs several times and let them dry before turning them into masks. Only adults should handle the knife or scissors when creating a mask.